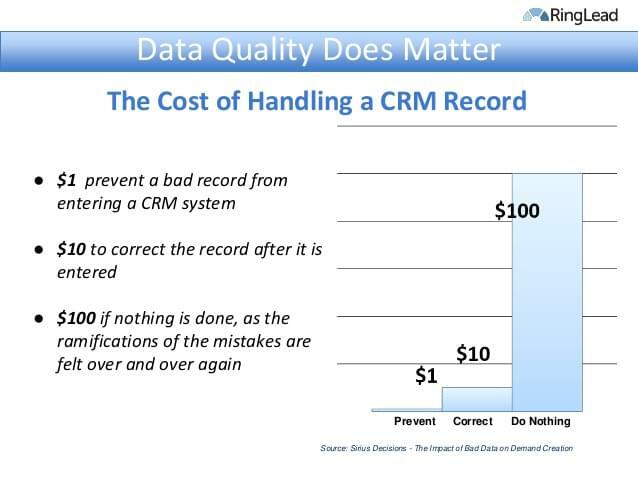 Poor data quality is a scourge of many CRMs, and often results from data mismanagement. It’s one of the several reasons some salespeople avoid your CRM entirely. Incorrect, inaccurate, or missing data annoy end users and impede operations. It wastes time while employees hunt down missing details or correct records and its inaccuracies diminish your returns on the CRM investment. In contrast, clean data allows your CRM to run smoothly. It doesn’t guarantee you’ll reach all your sales goals — that’s on you — but at least the CRM will work as intended. It means contact and lead profile details are up to date, pipeline activity reflects deal progress, the sales process is properly mapped, and future performance can be forecast with confidence. In other words, clean data is essential for your CRM to perform as intended. The expression “garbage in, garbage out” applies to many things, including your customer data. Clean data (which, in other words, means usable data) starts with the way it’s entered into the system. Of course, we don’t always have the benefit of starting from scratch. Not to worry. There are tools and practices you can implement to clean up CRM data in existing databases and ensure new data is entered into the system properly. How Do I Create a Data Management Plan? Data management begins with a plan. This plan includes, among other things, creating a table that employees can reference when entering new data or maintaining existing records. The table should present a few categories of rules with clear examples for each. 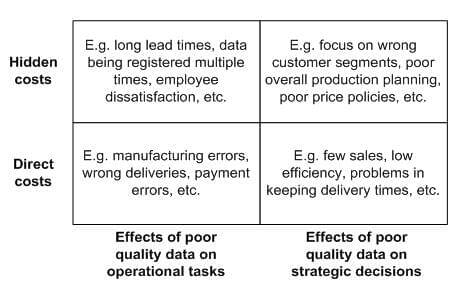 When creating your reference table and your data management plan, be sure to address these key areas. A common problem in data entry is the many iterations the same type of information can take. Avoid this by creating standards by which employees can properly input data to the CRM. Punctuation. It’s a good rule of thumb to avoid punctuation for most types of data. Therefore, IBM is written such, and not like ‘I.B.M.’ Similarly, New York is abbreviated like NY, and not N.Y.; the United States of America is written as USA, not U.S.A. This reduces the likelihood that misplaced or forgotten punctuation marks will degrade the quality of your records. A, An, The. Another common rule is that definite and indefinite articles are either left off or added to the end of the record. Therefore, ‘The Blue Man Group’ is entered as ‘Blue Man Group, The’. Spell out numbers. To ensure consistency, spell out numbers unless the number is part of a trademarked name. Similarly, for street addresses, write the ordinal number as a word. Instead of ‘3rd Street’, write ‘Third Street’. There are likely many naming conventions relevant to your particular industry or field. These should be written up and distributed to all employees who use the CRM. Knowing which format to use when entering new data is a big step to maintaining data integrity, but it’s not the only one. Duplicate records is a problem with every CRM and frequently occurs when importing data from third-party apps or through negligence. There are a few practices you can implement to mitigate this. Search for a name before adding it. Before adding a new contact, lead or organization, employees should do a quick search within the CRM to ensure it isn’t already present. Use partial word searches. Searching for existing records using a single specific name wouldn’t be enough to find records that are creatively spelled or misspelled. A record that should be listed as ‘Mayer Group, The’ might be misspelled as ‘Maier’ or improperly stored as ‘The Mayer Group’. If existing records are found, the employee should update the existing record appropriately rather than create a new record for the same person or organization. Due diligence goes a long way to maintaining clean data. Your CRM will almost inevitably accumulate duplicate records. There are certain rules employees can follow when removing duplicates, whether by merging or deleting records. Inspect before acting. Two records having the same name is not enough reason to merge them or delete one. Certain names are common, even within the same city. Businesses can have very similar names as well. It’s incumbent on every end user to ensure they aren’t altering records without just cause. Better to merge than delete. Multiple instances of the same record might have different email addresses or phone numbers. There’s a possibility that contact or lead (and particularly organizations) have multiple points of contact. Rather than removing them, associate all points of contact to the same record. When in doubt, ask. CRM records are usually associated with an owner — the original user who added them to an account. When confronted with a duplicate record, one of which belongs to another user, ping the other user to confirm details before taking action. Removing data in a consistent fashion matters as much as entering it in a consistent fashion. Users should be particularly cautious when removing data with tangible business value, such as an email address, phone number or social media handle. Once your data plan is prepared, you’ll need to disseminate these rules to your team. Depending on the size of your team and their relative technical experience, this would call for one or more training sessions to familiarize them with the data management rules. Create documentation. Once established, your naming conventions, data entry and deduplication rules should be documented and disseminated to employees. Provide digital and analog copies to ensure it’s not overlooked. Onboard new employees. New employees should also be trained using your company’s data entry protocols. This may even pertain beyond the CRM. It’s helpful to maintain data management practices across platforms when possible, so general new employee orientation should still receive the documentation described above. Train current employees. Hold meetings and training seminars with the expressed purposes of familiarizing staff in data management protocols. It’s helpful if the meeting is led by a steering committee that involves the CRM admin or experienced IT staff. A data management plan requires buy-in especially from the rank-and-file in order to be successful. As the ones entering data most regularly, any effort to clean up CRM data depends on them. How and When Should I Audit My CRM Data? This is the part we’ve all been waiting for — the data audit. There are many ways to conduct an audit, and third-party solutions are available for companies that would rather outsource the task. Businesses with extensive databases to be cleaned may find this preferable. Nevertheless, a small business with less extensive data management needs may find they’re capable of enough pruning to clean up CRM data in-house. There are data assets stored in all the tools your company uses to interact with customers. Similarly, there is likely a great deal of information that could be stored in your CRM, but isn’t. There is a process to account for your data in various locations. Identify company data assets. Go through your company’s applications and determine which contain customer data. This includes previous CRM systems, ecommerce software, email lists, old email accounts, social media, POS purchase information, and excel sheets. Interview key data handlers. There is no need to interview every employee, but find out from team leaders and managers who is handling the data, how the data is used, where it’s located, and what problems they might be having with the data. Prioritize data. Determine which data points provide the most commercial value. Web-based companies might value email addresses, inside sales teams might prioritize phone numbers, businesses with a strong digital marketing presence might value social media followers. Track how your data is being used. Identify how data is used in daily operations, where it’s stored, which associates need access to which kinds of data, and the types exchanged between third party apps. Ensure accessibility of data to operations in which the data can produce commercial value. Grant restricted access. Give employees access to data and data management tools on a hierarchical, as-needed basis. Use permissions in the CRM and other software to restrict access to data so only relevant team members are able to access, edit or delete it. Remember the phrase from earlier, “garbage in, garbage out”? Accounting for your data assets and which employees interacting with them for which operations allows you to place better controls to ensure incoming data is as clean and sound as you can make it. There are certain ways you can go through your existing customer data and clean up the CRM on your own. Keep in mind this is not a one-off practice. Data naturally degrades: individuals leave companies, people change phone numbers or addresses, their job title changes. One measure of data integrity is accuracy, aside from proactively updating individual records we know to have changed, there are certain ways we can clean up data within the CRM. Filtered search function. A common problem with CRM records is missing fields. Certain types of customer data have more commercial value than others. CRMs whose search function includes filters that allow you to search for empty fields allow you to draw up a list of which records are missing key data. For example, searching among all records for those whose email address equals ‘blank’ reveals how many are missing that contact detail. Further filtering the list by record owner lets you assign the task of updating the records to the appropriate team member. Bulk edits. Bulk edits in combination with segmentation tools allow users to update records that are missing generic or common information, such as country or U.S. state. Records can be segmented and bulk edited according to a variety of criteria, not limited to the contact details therein. For example, records can be searched by owner or deals can be filtered by status. Merge or delete records. When duplicates are found, end users should perform the appropriate due diligence on whether the record retains commercial value by comparing the duplicates or asking the record owner for input. There are changes CRM administrators can make to reduce the likelihood of poor data entry or mislabeling. Depending on the CRM, these options and more may be available. Avoid free text fields. The more data that end users must type manually, the greater likelihood of error, even with copies of your naming conventions available. Instead, use drop down menus or multi-select fields wherever possible. Required fields. CRM admins can make specific fields mandatory before a record can be saved. The exact fields may vary depending on the record. For example, Contacts may require First Name, Last Name and Email Address. Leads might also require Company. Deals might require Value or Status. Required fields allow you to ensure all saved records have a minimum level of data. Validation rules. These are rules that enforce particular data entry formats. An incorrect format will prompt an error message. For example, if records list the billing country as ‘USA’, then the zip code must follow a five-digit (or five-four digit) format. Failure to enter the correct number of digits would result in the record not being able to be saved until the error is corrected. Workflow rules. Workflow rules are a bit more flexible than validation rules: they allow an automatic field update if a certain iteration of a phrase is inputted to the CRM. You could set up a workflow that replaced a mistyped entry with your preferred nomenclature (U.S.A. to USA, for example). This runs the risk of an unexpected iteration, but it wouldn’t frustrate the end users as much. Data audits can be scheduled according to the pace of data entry. If multiple end users are adding leads and updating contact records daily, then you’ll need to schedule audits more frequently. Even with a relatively slow pace of CRM usage, audits shouldn’t be too few and far between. As contacts’ details are liable to change, you’ll want your customer records to be updated accordingly. What Should I Look For In Third-Party Data Management Tools? For businesses that feel boxed into a corner with hopelessly complex data cleansing needs, there is still no need to fret. 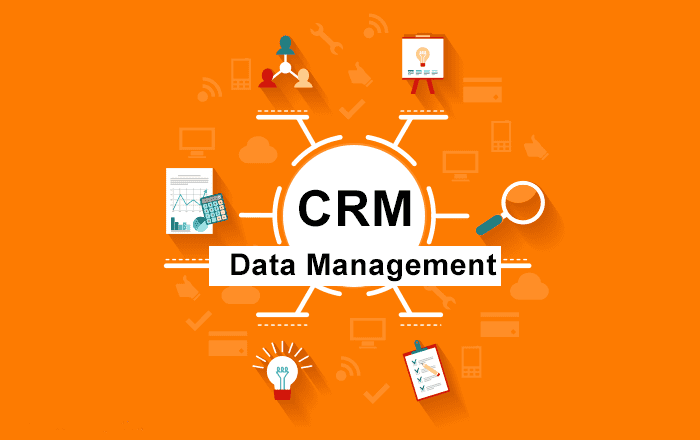 Many CRMs — predominately the larger ones — partner with CRM-specific data management tools. These might be available free of charge by subscription. Additionally, third-party software can be found to identify gaps in your data and recommend a course of action. There are a few features you might want in particular to prevent degradation of your data. Data-Monitoring Dashboards — This functionality provides a snapshot of subsections of your data by category, along with which values have the greatest entry rate and which are most frequently left unfilled. This informs admins on how the data management strategy, team training, and data entry rules can be adjusted to improve quality. Deduplication — Third-party software common offers data deduplication at cost. 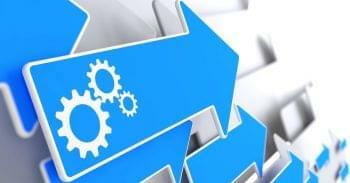 Certain solutions integrate with multiple CRMs. After being granted permission, the software automatically scans the CRM for duplicates. Users can apply filters and receive reports on merged records. Profile Enrichment — Sparing your end users a great deal of data entry and search time, profile enrichment scours available sources like social media, email accounts, and email signatures to fill relevant CRM fields. 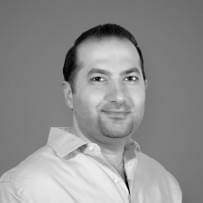 Certain CRMs handle this themselves while third-party solutions exist for those that don’t. Newer or specialized CRMs often include features that make data management far easier than it was in the past, from profile enrichment to auto-logging communication to built-in reports on data integrity. If you’re in the market for a sales automation solution, check out our free comparison guide.